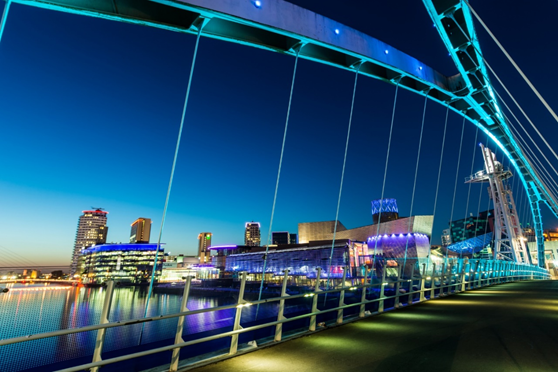 The vibrant city of Manchester will offer you an unforgettable experience. One of the first modern cities of the United Kingdom and the birthplace of the industrial revolution, Manchester is a place where a glorious past meets an even greater future. Explore historic sights and museums and learn about the city that gave the start to mankind’s modernisation. Immerse yourself in the local culture, wonderful pubs and cuisine, and experience the unique environment of Manchester that shaped some of the biggest names in science, sports and art. Thanks to its integrated transport network, Manchester is one of the most accessible cities in the UK for both national and international visitors. With three terminals and over 22 million passengers each year, Manchester Airport is the global gateway to the North of England. More than 60 airlines ensure Manchester Airport is directly connected to over 200 destinations around the world, with a host of facilities and free Wi-Fi access ensuring comfortable and hassle-free travel. Travelling by train to Manchester is quick and comfortable and the preferred method for national visitors. 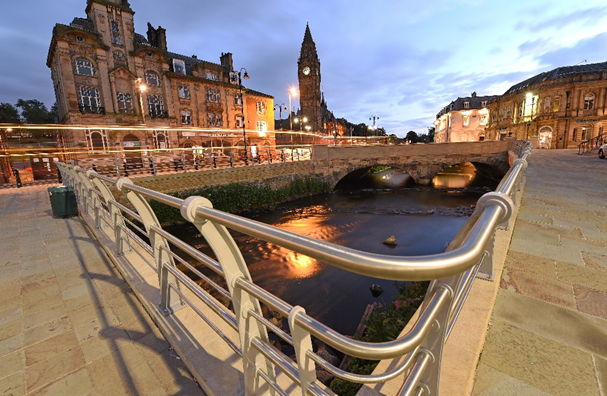 Journeys from London take two hours, from Edinburgh three hours, and the train from Manchester Airport takes just 14 minutes to the city centre. Travel by coach is arranged by National Express and Mega bus, who provide services from all around the country into Chorlton Street Coach Station in the heart of the city center. For driving, Manchester is well connected to the rest of the UK by excellent motorway links. The M60 ring road connects the city to motorways in all directions. 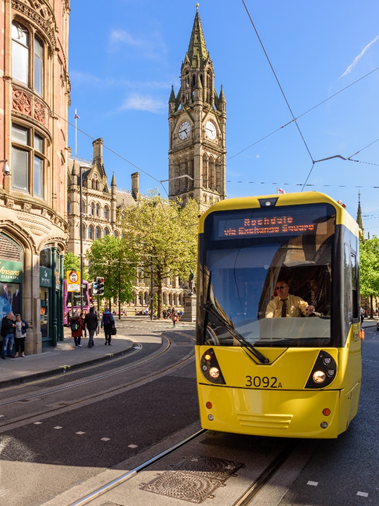 Getting around in Manchester is easy thanks to a fleet of buses, trams and trains available. The Metro Shuttle Bus offers a free “hop on, hop off” service, commercial bus routes run across the city, and the Metro link tram network is one of the most successful light railway systems in the country. 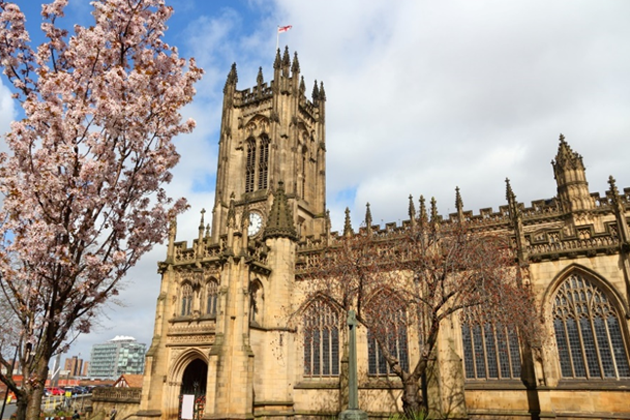 With a city center that you can navigate within 20 minutes, Manchester is easily explored on foot, with City Hosts that can help you with directions, public transport information and details about events taking place. A wonderful new transport option that connects key points in the city is the Manchester Water Taxi, which you can pre-book online. Manchester’s role in advancing science and industry is undeniable. There is a famous quote “What Manchester does today, the rest of the world does tomorrow”. 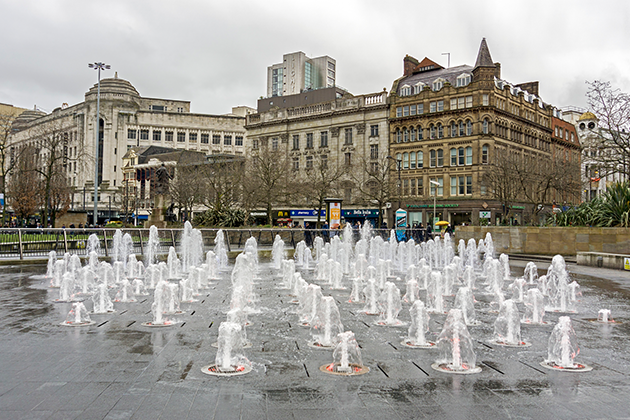 Beginning in the early 1800s, when John Dalton formulated his atomic theory within the city, Manchester has been a center for new discoveries, scientific breakthroughs and technological developments. Pioneering breakthroughs like the first true canal, the first intercity railway station, the first stored-program computer all happened in Manchester. In 1897 J. J. Thompson, born in Manchester, discovered the electron. In 1934 James Chadwick, who studied in the University of Manchester, discovered the neutron. And in 1917, in the University of Manchester, Ernest Rutherford, considered the father of nuclear physics, conducted research that led to the “splitting” of the atom and discovery of the proton, laying the foundations for Radiation Therapy and Particle Therapy. Today Greater Manchester has a population of 2.8 million people and is the UK’s second most populous urban area. It is also the second most visited city in the country after London, with 115 million annual visitors. For 250 years, Manchester has been putting British innovation firmly on the map. Looking beyond the boundaries of possibility is in Manchester’s DNA. 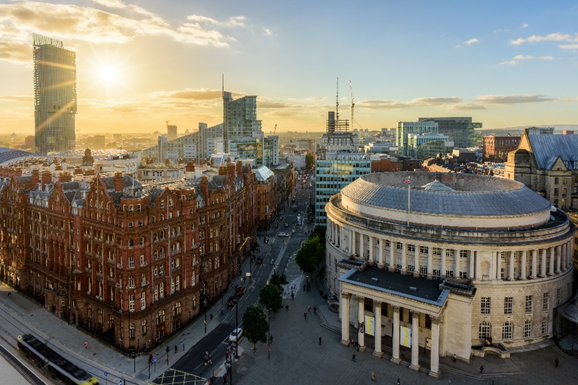 Home to four universities who have a strong track record of working with industry, Manchester provides a climate where innovation can grow and prosper. Health Informatics with Farr Institute facilities located in Manchester, there are many opportunities to join-up patient health informatics and development of approaches including apps to advance population health and provide a test bed for international investment. Precision Medicine, Manchester’s key therapy area strengths and research capabilities, including cardiovascular and oncology, lend themselves to advancing precision medicine. 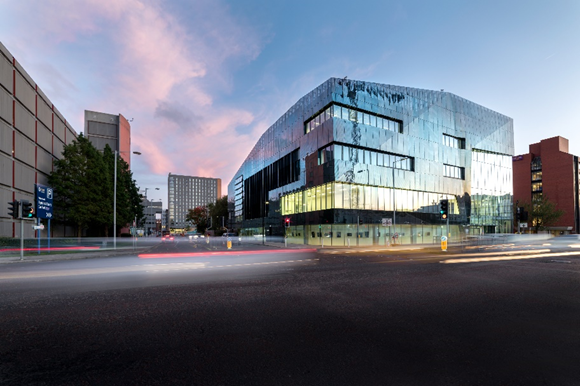 The Stoller Biomarker Discovery Centre, one of the newest and largest in the world, offer opportunities for industry collaboration, as does the Medical Research Council funded Manchester Molecular Pathology Innovation Centre (MMPathIC). Disruptive Medtech, consequences of a devolved health economy, combined with a clear and collaborative innovation pathway from idea to market access, provides a supportive environment for getting disruptive MedTech innovation to patients in Greater Manchester. There is an existing cluster of MedTech companies and the region also offers opportunities to explore the medical applications of advanced materials such as graphene. 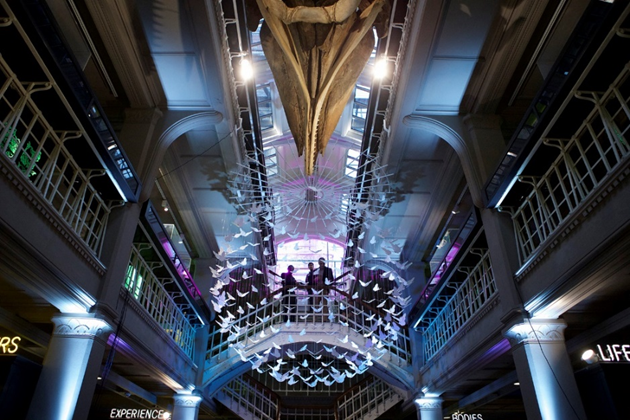 Manchester Museum is one of the UK’s top university museums, where you can explore an amazing collection of over four million pieces. Browse one of the largest collections of ancient Egyptian artefacts in Britain, visit the Vivarium responsible for important captive breeding programs for critically endangered species, or see the archaeology collection covering a time-span from the Paleolithic to the seventeenth century AD. 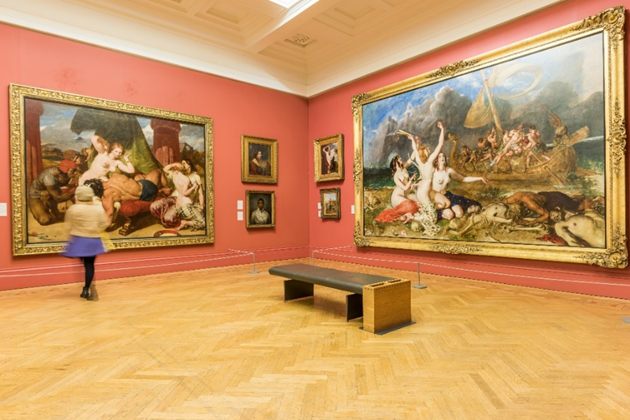 The Manchester Art Gallery is one of the country’s finest art collections in spectacular Victorian and contemporary surroundings. The gallery’s £35 million transformation has enabled the collection to be presented to visitors in imaginative new ways. Highlights include outstanding pre-Raphaelite paintings, craft and design, and early 20th Century British art, and an exciting program of events, tours and hands-on activities. Manchester Cathedral is an essential visit, sporting a gorgeous interior with the best late medieval woodwork in North England. The quire and the ceiling are splendid and full of life in the carved details. Truly a gem in the middle of Manchester. 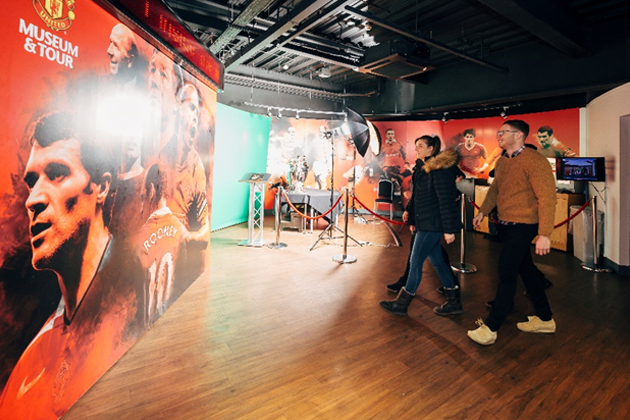 Manchester United Museum & Stadium Tour offers a behind the scenes look at the world’s most iconic stadium; Old Trafford. Come and sit in José’s seat in the dugout, walk through the players’ tunnel towards the hallowed turf, and find the seat of your favorite player in the dressing room. Get a feel for life in the Premier League and immerse yourself in an unrivalled story, the greatest football story ever told. Manchester also has a thriving food and drink culture. New restaurants, bars, gastropubs and cafes open every week, helping the city establish itself as one of the UK’s most exciting foodie destinations. 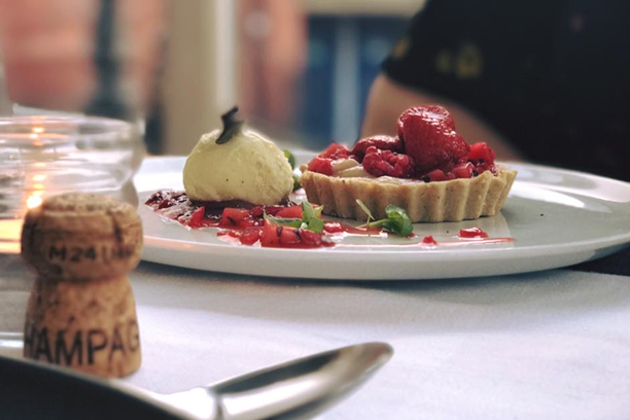 From fine dining and afternoon tea, to pop-up markets and humble street food, Greater Manchester is packed with options offering any and every cuisine you can think of. Plus the city is a haven for vegan and vegetarian cuisine, and is fit to burst with a number of halal options too.